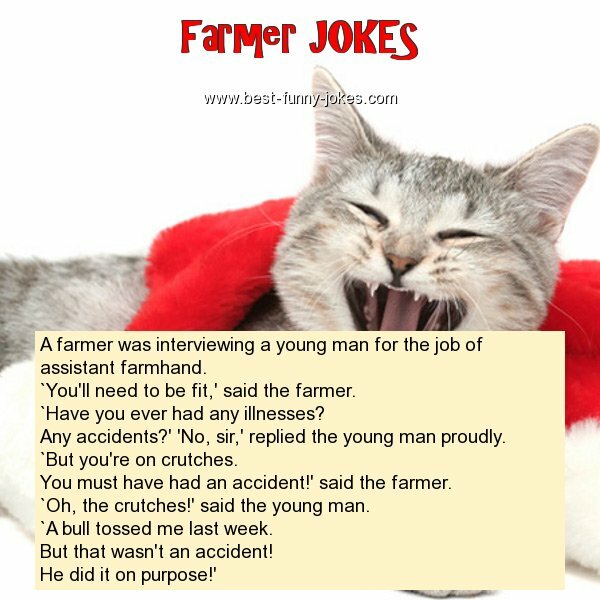 `You'll need to be fit,' said the farmer. `Have you ever had any illnesses? Any accidents?' 'No, sir,' replied the young man proudly. You must have had an accident!' said the farmer. `Oh, the crutches!' said the young man. `A bull tossed me last week. But that wasn't an accident!